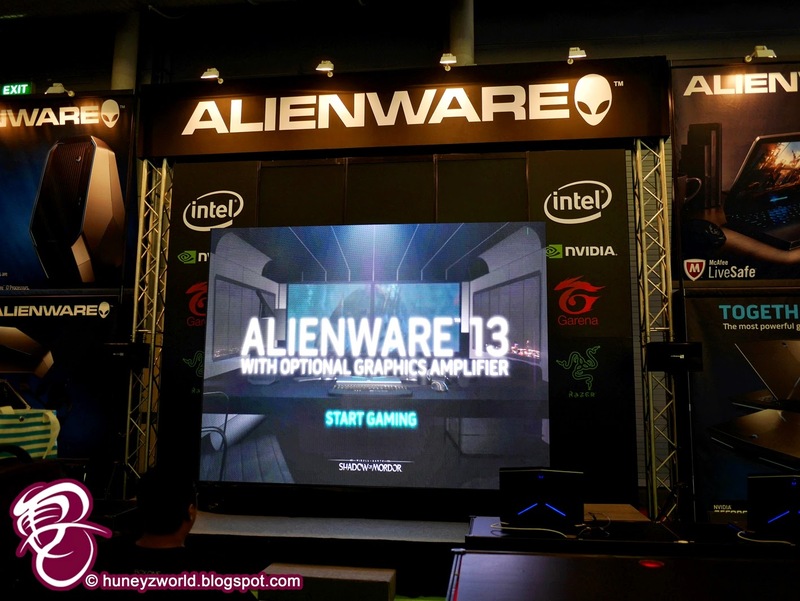 At SITEX, Alienware the details and availability for the legendary return of the Alienware Area-51 gaming desktop and the portable powerhouse Alienware 13 gaming laptop. 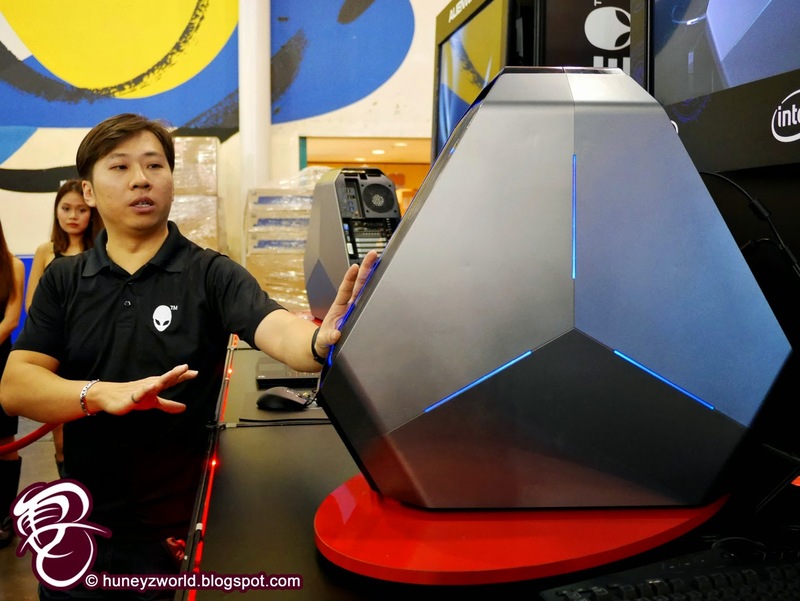 They've also revealed the innovative Alienware Graphics Amplifier, which allows gamers desktop graphics performance at home and high performance mobile gaming with the Alienware 13, without having to compromise the graphics when gaming. 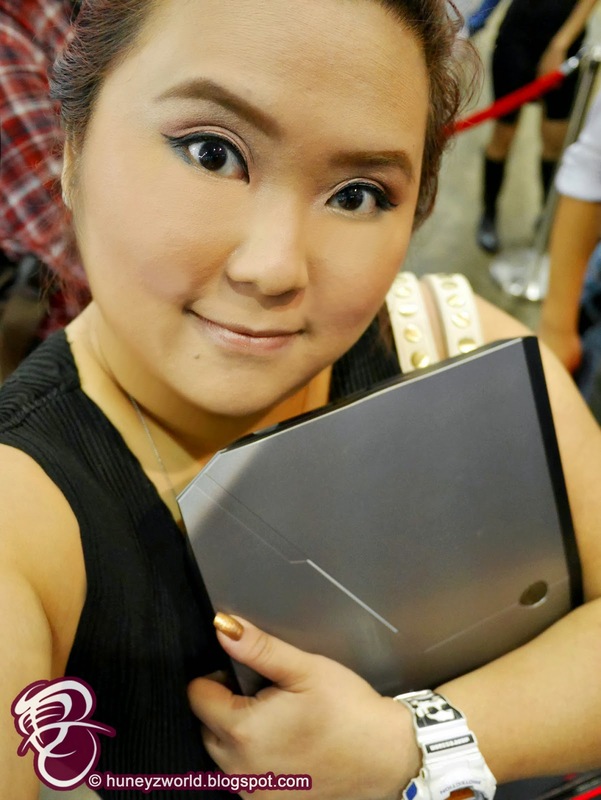 The Amplifier can be purchased by itself or alongside the Alienware 13 for SGD418.99, and users will have their choice of desktop graphics cards from both AMD and NVIDIA as options when purchased with an Alienware 13 laptop. 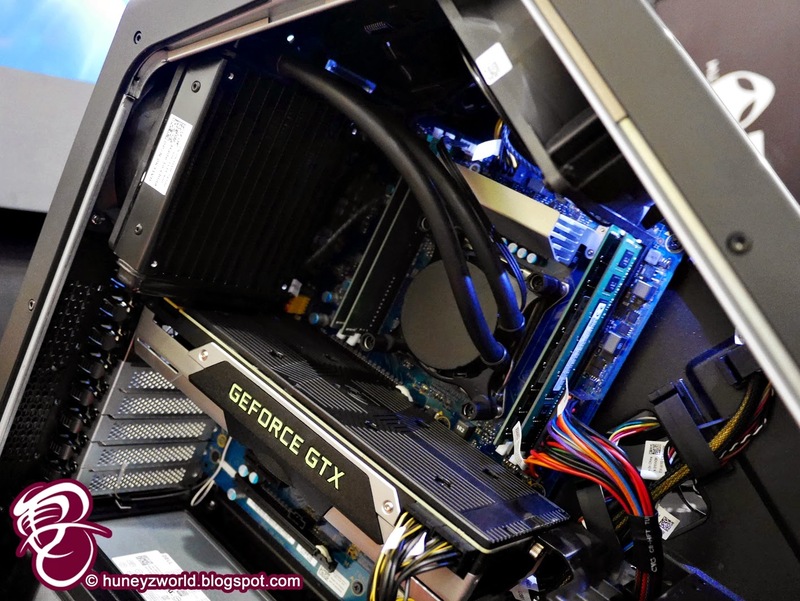 Connecting directly to the Alienware 13 through dedicated PCI Express lanes, allowing any graphics card to have enough bandwidth to drive desktop graphics experiences. 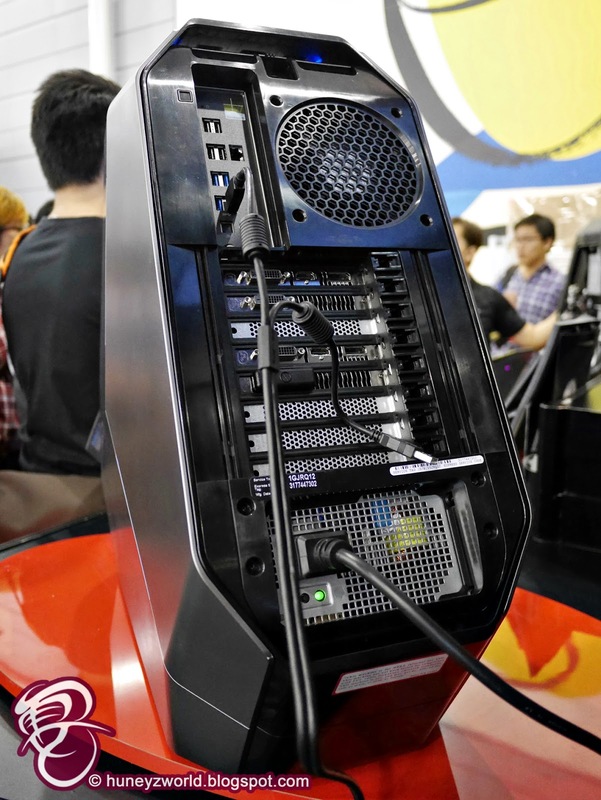 The Alienware Graphics Amplifier can house a full length, dual-height graphics cards with up to 375 Watts of power. It also features four powered USB 3.0 ports, so gamers can plug in for instant access to their favorite peripherals and output directly to their gaming displays. Back to the Alienware 13. 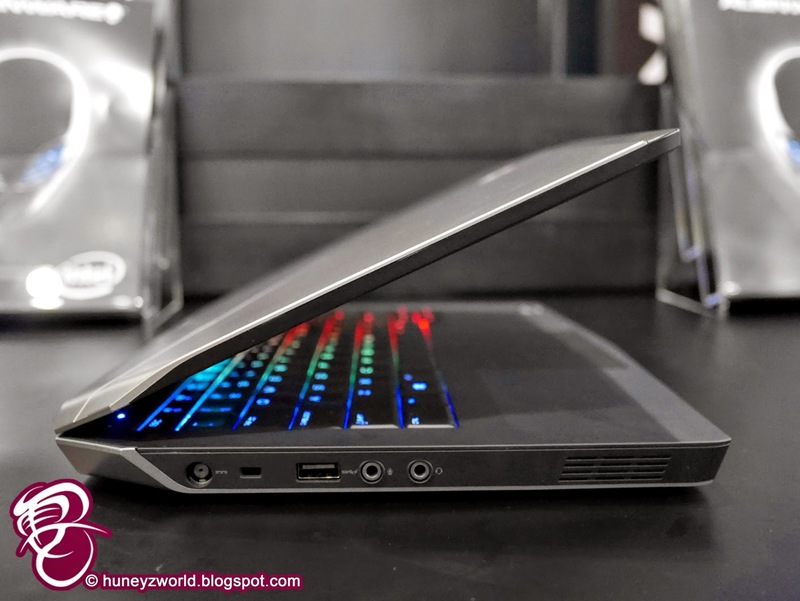 With gamers mobility in mind, this thinnest laptop of the Alienware exceeds the high bar for gaming performance set by previous portable heavyweights, whilst allowing gamers to travel light and gaming when at meetups. The Alienware 13 is only 1-inch thin, weighing at 4.5* pounds. 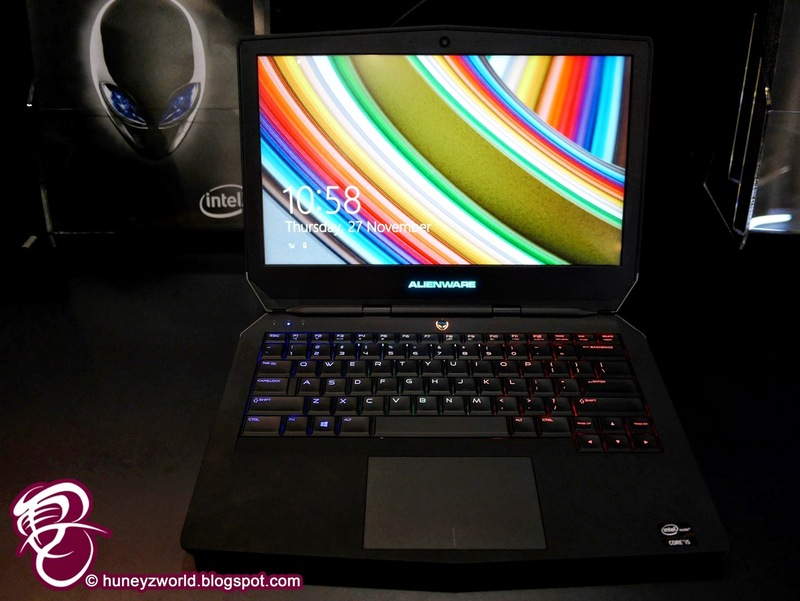 Featuring an Intel Core i5 processor and NVIDIA’s GeForce GTX 860M with 2GB of dedicated GDDR5 graphics memory, the Alienware 13 is constructed with aerospace-inspired carbon fiber composite surfaces, and for the first time in Alienware’s notebook legacy, it will offer an optional display powering a 2560x1440 QHD resolution as well as touchscreen technology. The new LCD offering is designed with an exceptional IPS panel technology for rich, vibrant colors, and wide viewing angles. 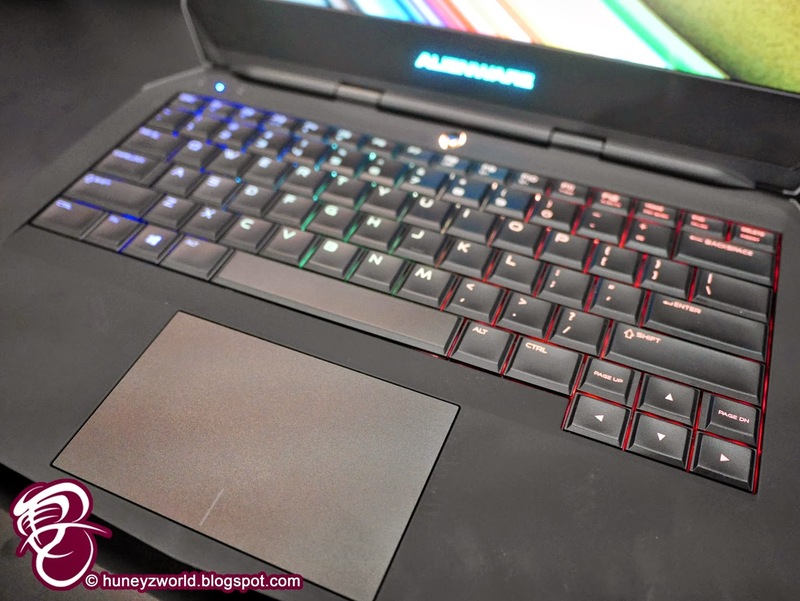 You will still be able to find the signature Alienware cover and rainbow colour lights on the keyboard. 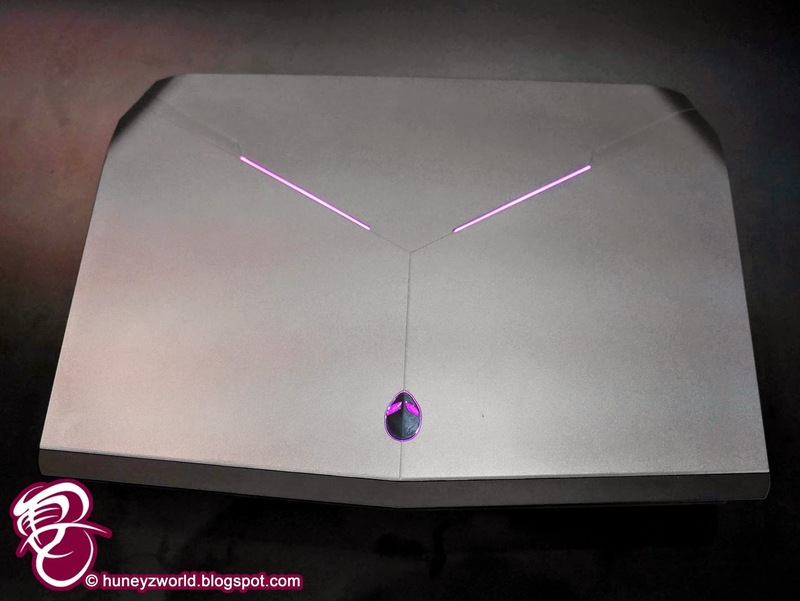 And talking about signatures, here's the heavyweight - the Alienware Area-51 flagship desktop. 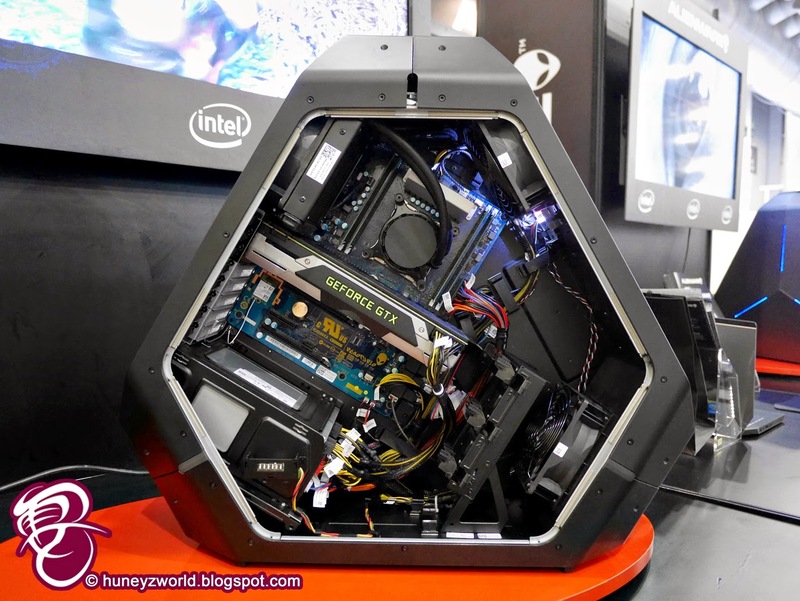 It comes loaded with Intel’s latest six or eight core Haswell-E Core i7 K-series processors (factory-overclocked), liquid cooling, graphics options from both AMD or NVIDIA, DDR4 memory, Killer Gigabit Ethernet, Intel 802.11ac dual band WiFi and Windows 8.1. Its special Triad design is to break from the comventional rectangular CPUs to improve the desktop gaming experience, allowing optimized thermal management and ergonomics for easy to reach buttons. 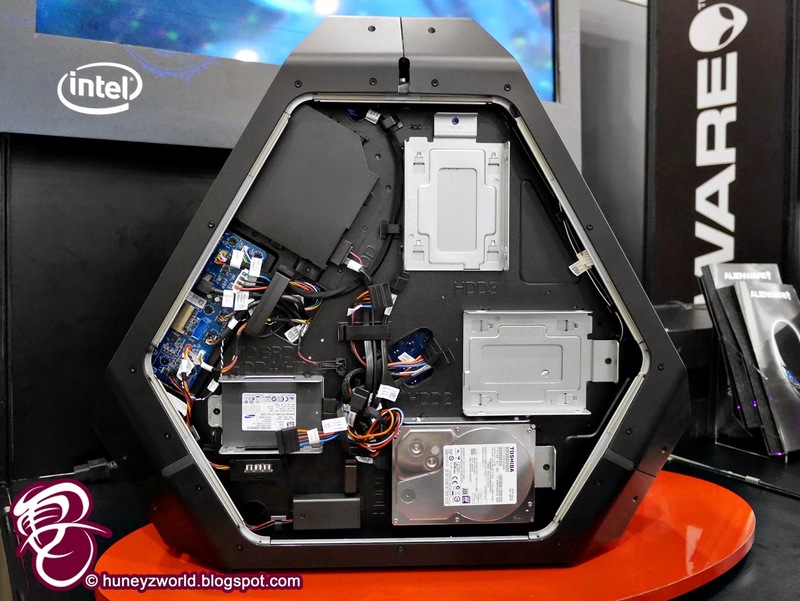 You can easily access the front and rear ports and with the easy to open side panels, DIY enthusiasts can easily upgrade their systems, with each component meticulously laid out to optimize airflow for exceptional heat dissipation that ensures maximum performance. 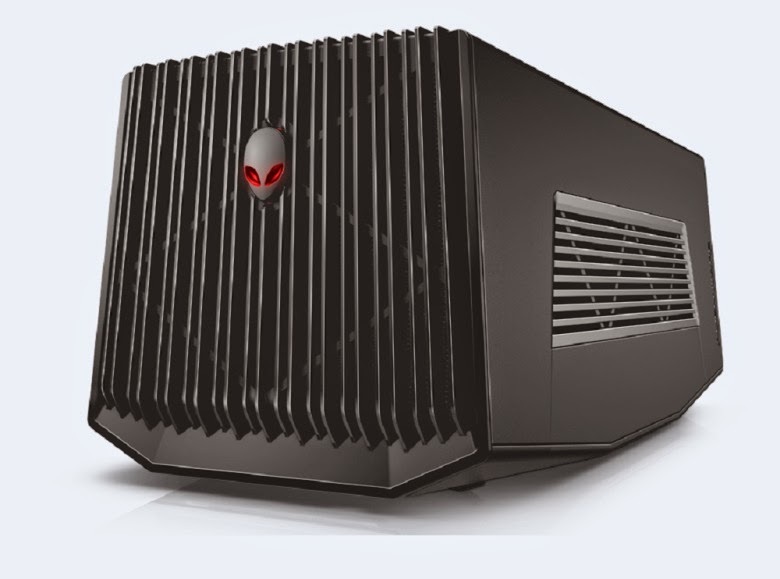 The Alienware 13 and Alienware Area-51 are now available. 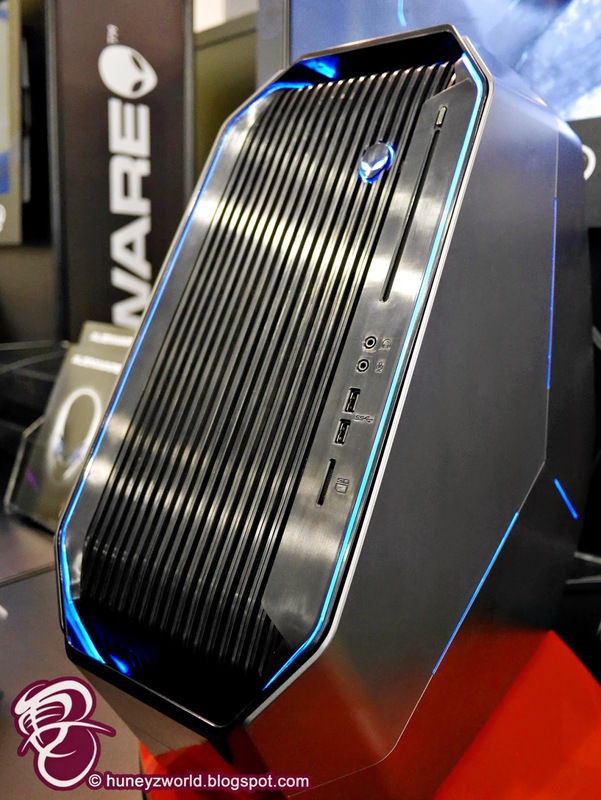 The Alienware Graphics Amplifier will be available from December.